[VIDEO] Can you guess who just joined the Pride team? Can you guess who just joined the Pride team? [VIDEO] Did Banzai Pipeline tame Pierre-Louis Costes? Pierre-Louis Costes always puts a show when surfing in Hawaii. [VIDEO] How Did Jared Houston Not Get Hurt? Thunder is common in the tropics although not always the oceanic kind. 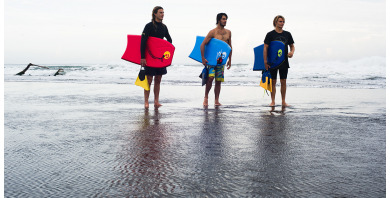 Flying on a bodyboard is not an easy task, that's for sure. But with the advices of 2011 World Champ Pierre-Louis Costes, you may manage to do so. The latest Pride board range just landed on European soils and is available in the best stores. Right on time for your Christmas purchases! 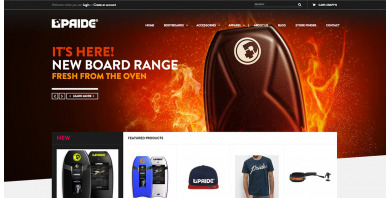 After a few long months of hard work, Pride bodyboards' brand new website is finally online!